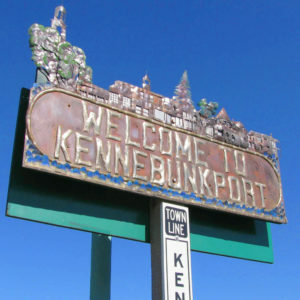 Why is Kennebunkport a popular family vacation destination? 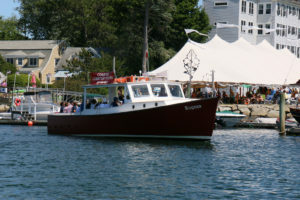 Is it the boat charters, lighthouse and lobster tours on the ocean? Is it the five beautiful beaches in the Kennebunks to choose from? Is it the par 3 golf in town? Is it the family friendly lodging choices from oceanfront hotels to family resorts? Or the historic Seashore Trolley Museum? In fact, it’s all of the above, plus great restaurants, shops and art galleries for Mom and Dad too enjoy as well. Families with younger children should take a boat ride witth Rugosa Lobster Tours where you and your kids can see how lobstermen catch our famed Maine lobster, the kids even get to touch a live lobster, and parents will enjoy the beautiful Kennebunkport coast as you pass by Walkers Point – summer home of President Bush and family. For families with older children, a shore way to have fun with a bit more independence, is a kayak tour along the Kennebunk River, Cape Porpoise Harbor and the coast. Parents will be glad to know that the Kennebunks offer several perfect family beaches. Mother’s Beach is well suited for families with younger children and toddlers with a gentle surf and playground area. 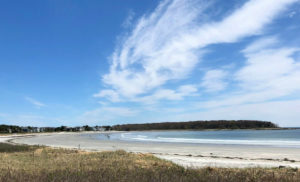 Gooch’s Beach, also known as Kennebunk Beach, is one of the more popular beaches in the Kennebunkport area with a long stretch of sand and plenty of parking. Goose Rocks Beach is another option for families to take their children during summer vacation past Cape Porpoise. Mother’s Beach and Kennebunk Beach have lifeguards on duty during peak summer months. You could visit a different beach every day of your week-long summer vacation in Kennebunk, Kennebunkport and Goose Rocks. Seashore Trolley Museum is the oldest and largest museum of trolleys and cable cars. Not only is this an historic landmark, but it also fun education on vacation – your kids can ride on real antique trolleys, trains and cable cars. The trolley museum hosts special family events like Sunset Ice Cream Rides, birthday parties and the chance to be a motorman and drive a trolley. Families will also enjoy Hillcrest Golf in nearby Kennebunk which includes a small par 3 course and a driving range. For indoor fun, Garden Street Bowl is a great family activity locate din downtown Kennebunk just off historic maine Street (also Route1) , the bowling alley has wonderfult food and drinks at Crotux for Mom & Dad too. In winter, there’s ice-skating in Kennebunk’s Pavillion, cross-country skiing, sledding and snowshoeing. The Seaside Inn is great for kids as it is situated directly on Kennebunk Beach, with beautiful grounds and ocean views, and free bikes to use. Seaside also has two beach houses for rent. Rhumb Line Resort offers everything you need and kids love, with spacious grounds, indoor and outdoor heated pools and hot tubs, poolside dining and cocktails and best of all – free lodging for kids 16 and under. 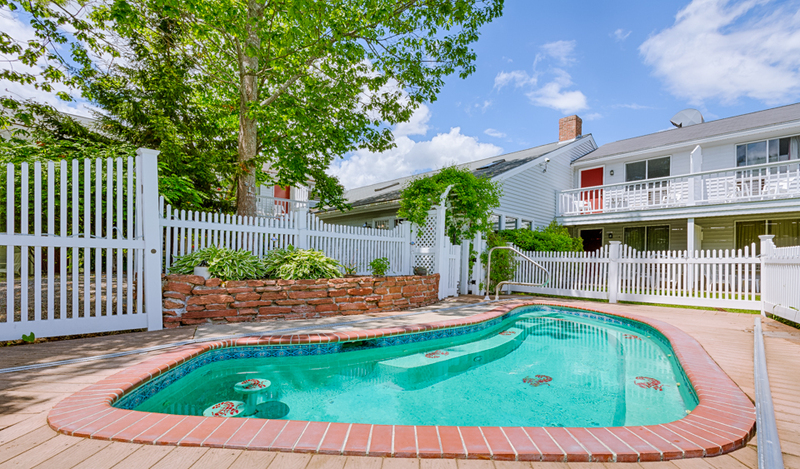 Nonantum Resort on Kennebunk River is great for families on vacation with a riverfront pool kids love as well as an onsite marina where families can jump on a sailboat charter or a lobster boat tour. You can easily walk to Dock Square’s shops and dining on Ocean Ave.
You can walk to town, Dock Square and The Candy Man old fashioned candy store as well as great restaurants and boutiques. Any of these family oriented Kennebunkport hotels, inns and resorts will provide a classic summer vacation in Maine for you and your kids.